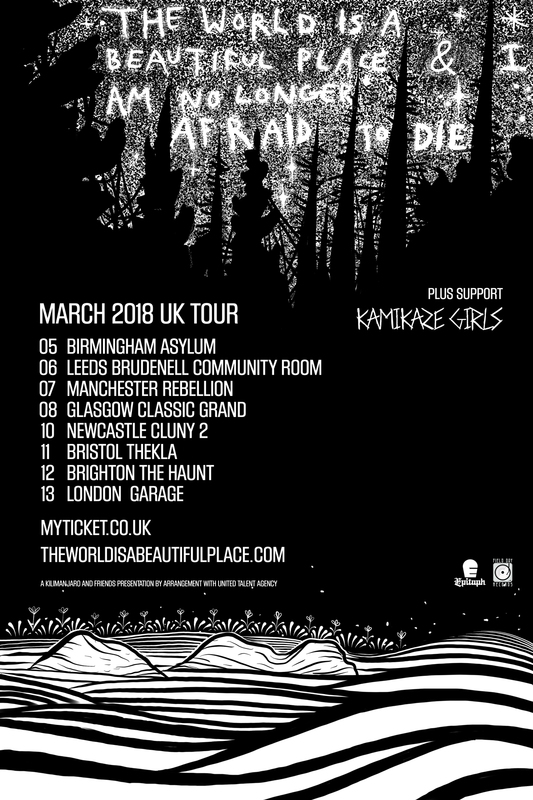 Leeds-based duo Kamikaze Girls kick off their 2018 in style with the announcement that they will support The World Is A Beautiful Place & I Am No Longer Afraid To Die on their March 2018 UK/EU headline tour dates. 2018 looks set to be another strong year for Kamikaze Girls, following international tour dates in 2017 with the likes of Nervus, Gnarwolves, and Apologies I Have None, plus a string of festival appearances including The Great Escape, FEST, 2000 Trees and Truck Festival to name just a few. The band gained a huge swell of media support throughout 2017 with coverage from the likes of UPSET, DORK, Gold Flake Paint, The Quietus, Kerrang! Magazine, Clash, Louder Than War, Drowned in Sound, Rock Sound, She Shreds, The Metro, Discovered Magazine and many more for their hard-hitting lo-fi punk tackling issues of mental health, PTSD and sexism.